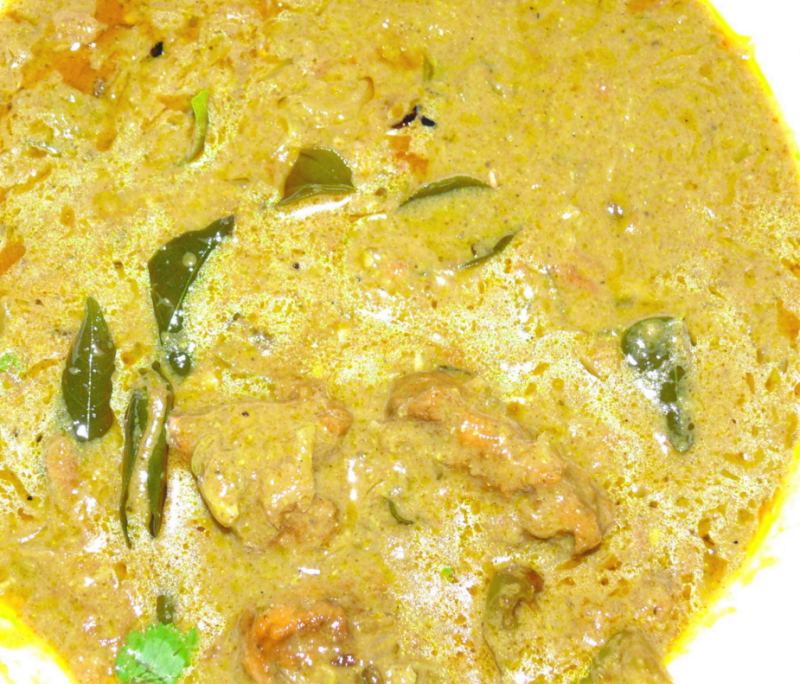 A Mouth-watering Chettinad preparation . add your comments. Prepare ginger - garlic paste and fresh cocunut with fennel seed paste . keep aside. Heat oil in a kadai , put mustard seed, jeera seeds, chopped onions, curry leaves, ginger-garlic paste and sliced green chillies and saute for 3 minutes. Add chicken pieces to the sauted masala and put dhania powder and turmeric powder and saute for 2 mins. Add yoghurt and cook the chicken till done. Now put the coconut - fennel seed paste and chopped coriander and cook for 5 minutes. Serve hot with rice and chapathi.